I saw 44 shows last year and there were some real crackers in the mix. So (drumroll please) here are my top 10 best productions of 2014 in alphabetical order. Cillian Murphy and Mikel Murfi. Photo: Patrick Redmond. Charity Wakefield and John Light. Photo: Robert Day. Another cracker from one of my favourite venues, Hampstead Downstairs. A slow burning and very delicate play by Jeremy Block that revolves around the relationship between an artist (Charity Wakefield) and astronomer (John Light). I found it totally compelling with strong writing, spot-on performances and beautiful design and direction. This production can be summed up in two words: sheer class. 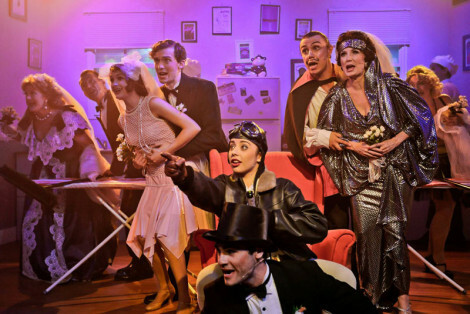 It’s a charming, entertaining and very funny musical but with the addition of superbly talented cast and tightly paced direction by Jay James-Moody (who also played the ‘Man in Chair’ role) it just went through the roof. Exhilarating. It’s not often that you walk down a school corridor and pass a row of children’s coats as you enter an auditorium but with superb attention to detail, designer Chloe Lamford transformed the Royal Court’s upstairs space into a huge classroom where we the audience sat on plastic seats along the walls. ‘Badger Do Best’ is the latest initiative being trialled at Castlegrave School where the teachers talk more childishly than the pupils. With two teams of eight year-olds (all refreshingly naturalistic and un-stage-schooly), this fast-moving production by Vicky Featherstone was really well done. 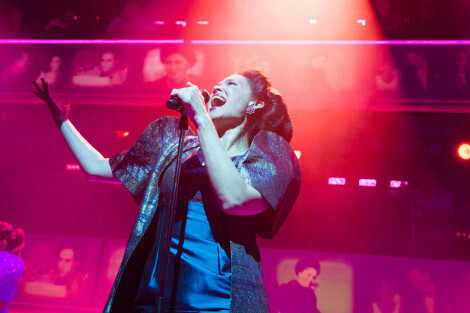 Natalie Mendoza as Imelda Marcos. Photo: Tristram Kenton. 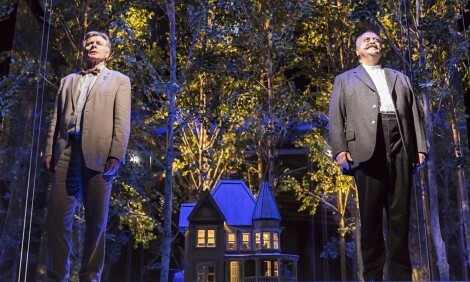 The much talked about David Byrne and Fatboy Slim collaboration hopped across the pond in 2014 and opens in Sydney in 2015. I only wish I’d known more about the history of the Philippines before I’d seen the show, so I couldn’t resist seeing it for a second time. While a singalong-with-Imelda encore sits awkwardly next to the final acoustic number, the previous 90 minutes is a brilliantly slick production with catchy songs throughout. Extra marks awarded for shoes only being mentioned once (and in an amusingly clever and casual lyric). 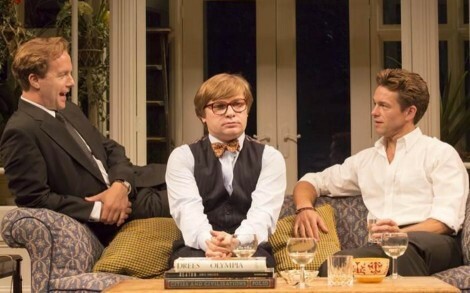 Geoffrey Streatfeild, Jonathan Broadbent and Julian Ovenden. Photo: Johan Persson. I first saw this 20 years ago at the Criterion (starring John Sessions) and distinctly remember being nonplussed by it all! As the years have passed, I felt quite differently this time around. A really well done production with finely nuanced performances from the entire cast. This month it returns to the West End for a second run with the same cast. David Beames and Stanley Townsend. Photo: Johan Persson. Without question my favourite show of the year, this challenging single-act play by Jennifer Haley is a stunning piece of theatre. The Nether explores how people behave in a virtual world where any sexual fantasy is possible and it does so in a very sensitive, intelligent and chillingly believable way. The set and video projection design is beautifully done and seamlessly integrated into the concept. 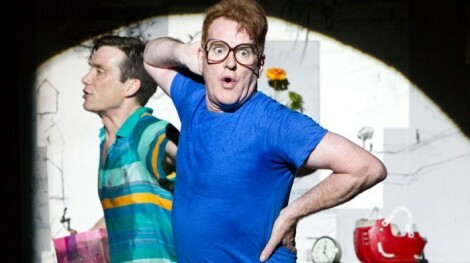 It deservedly gets another run at the Duke of York’s Theatre from end of January. Sam Swann and Sean Rigby. For Paul Miller’s third production as the new Artistic Director of the Orange Tree, he dropped a bombshell on TW9 with this new play by Alistair McDowall. With its dark non-linear narrative set in urban Manchester, this was certainly not traditional Orange Tree fare and not surprisingly it attracted a rather more youthful audience than usual. Great performances from the entire cast and tight direction from Ned Bennett. I hope Pomona marks the start of a more eclectic programming strategy at the theatre. Bill Nighy and Carrie Mulligan. 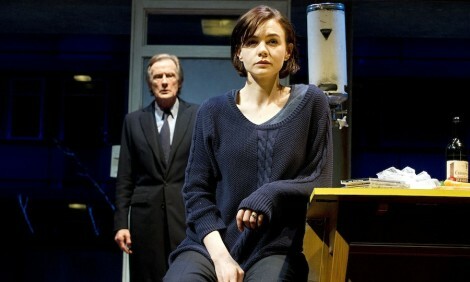 Could two of my favourite actors, Bill Nighy and Carrie Mulligan really be on stage in the same David Hare play? Sure, the age difference between them was stretching credibility but I loved this production and Bob Crowley’s skeleton-like urban set design. Skylight gets a second run on Broadway in March 2015. A same-day decision to catch the last performance of this London-only tour by Sydney’s Belvoir St Theatre (where I saw a couple of great productions earlier in the year) and I’m so glad I did. 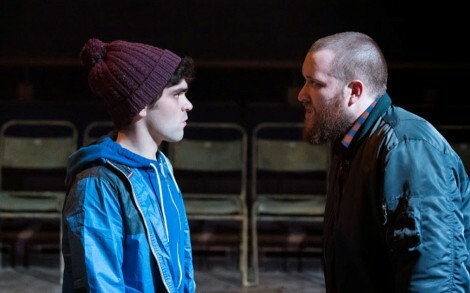 Simon Stone’s raw, powerful and gutsy production places almost all the action behind a glass walls with the actors on radio mics. 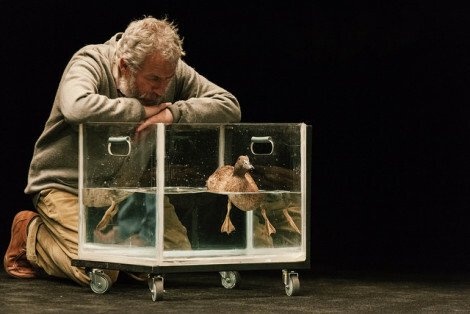 Performances were superb and I can confirm there was indeed a live duck on stage.